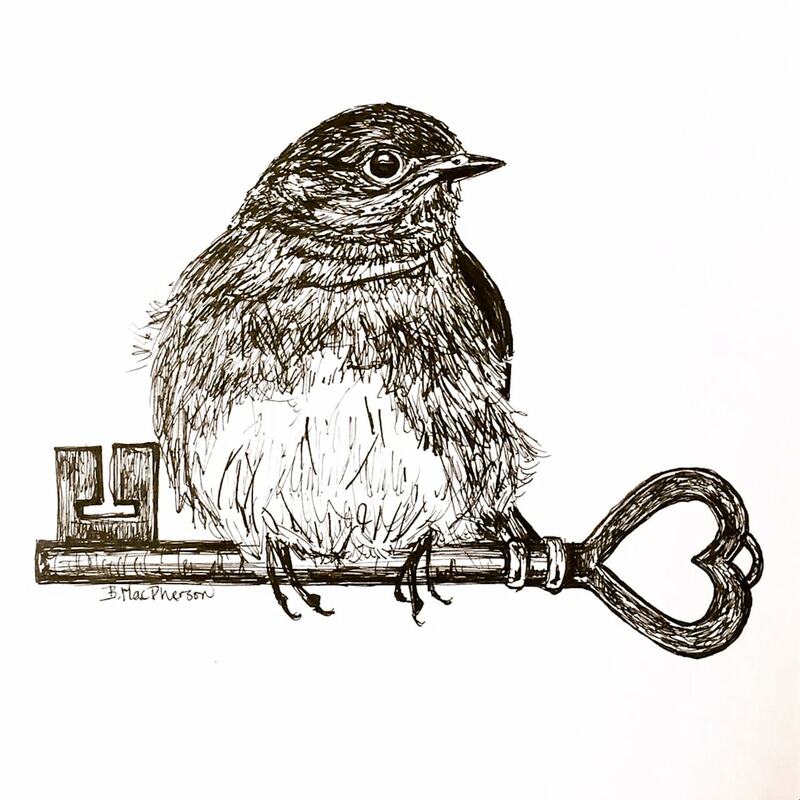 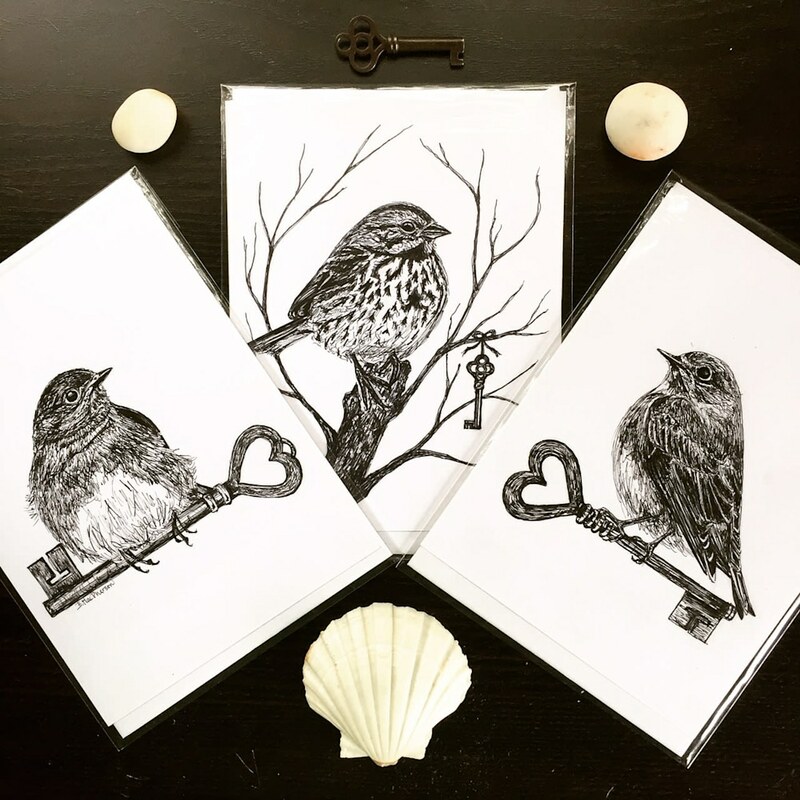 This is an ORIGINAL pen and ink illustration of a bluebird sitting on an antique key. 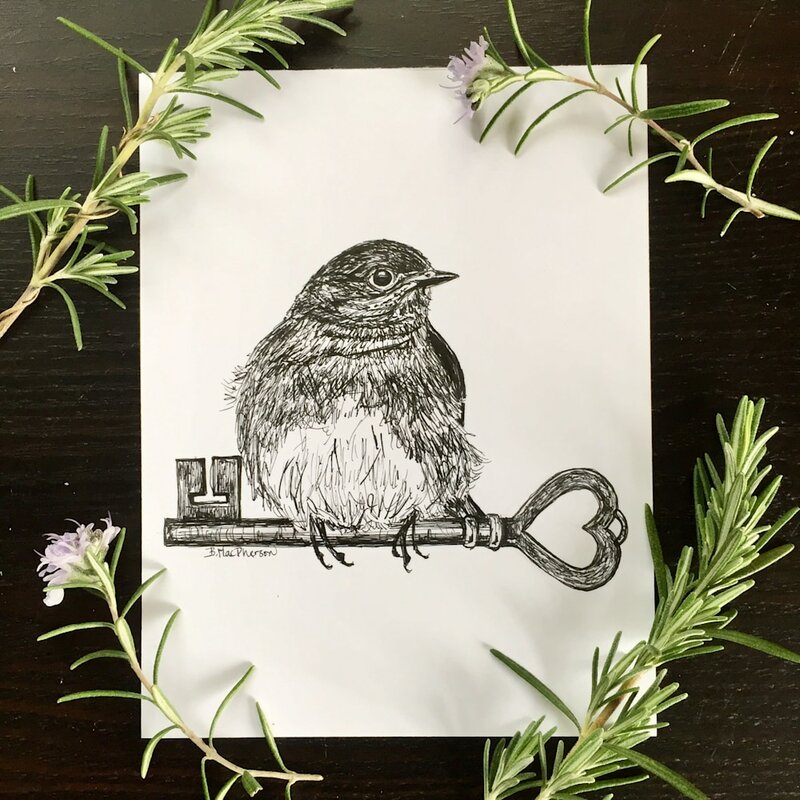 It was created as part of a series of thirty original illustrations on the theme of Feathers and Keys. This illustration is pen and ink on archival paper and will be shipped on a backing board within a protective cellophane sleeve.